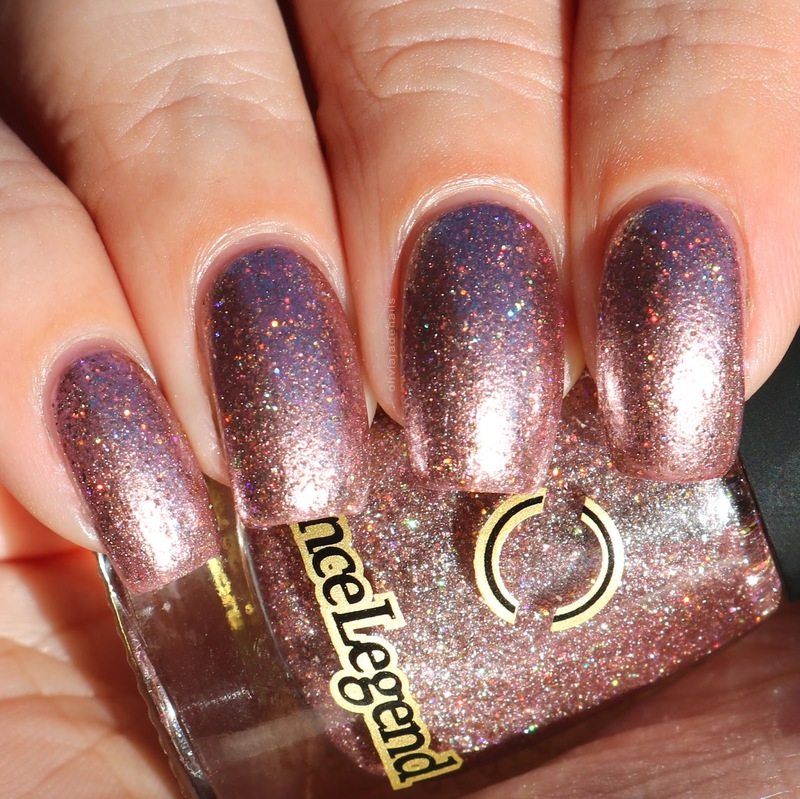 Dance Legend have recently released quite a few new polish collections and I was lucky enough to be sent a few from each to swatch and review. I will be sharing these with you over the coming weeks so keep your eyes peeled. To kick things off, I thought I would start with the Fizz Collection. 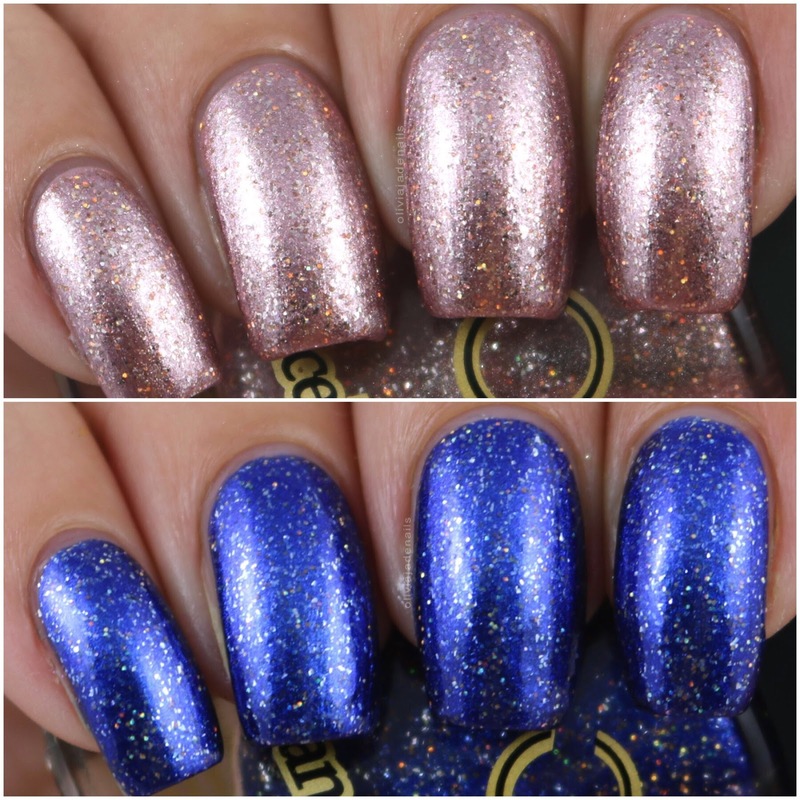 The Fizz Collection has a total of six sparkly polishes and I have two of them to share with you today. 2 Merry Muse is described as a golden beige jelly based metallic with a pinkish undertone and sprinkled with gold holographic glitters. I found this polish too sheer for my personal taste so I layered it over China Glaze Low-Maintenance. I quite like this combination. It gives it a bit of a rose gold look. 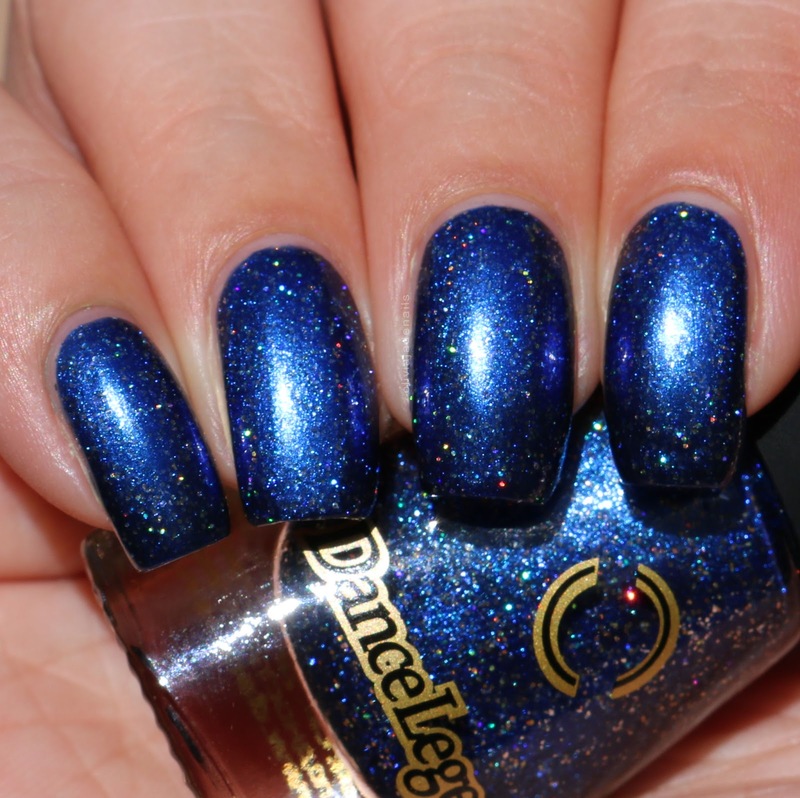 This polish is more holo and sparkly than it looks in my pictures. It's a little camera shy. For my swatch I used two coats over China Glaze Low Maintenance. 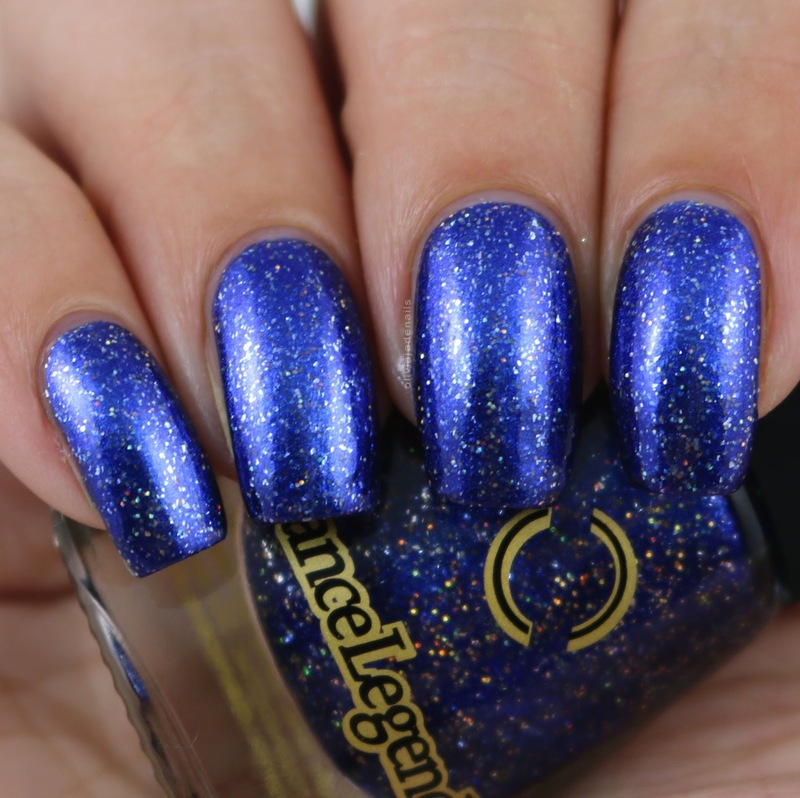 5 Midnight Kiss is described as a jelly filled with blue-purple microshimmer that makes the finish metallic and sprinkled with gold holographic particles. This is definitely my favourite of the two that I have tried from this collection. It's a really pretty colour with a great amount of sparkle (it's better in person) and it is opaque in two coats. I like both of these polishes. They are both nice colours and are easy to use. 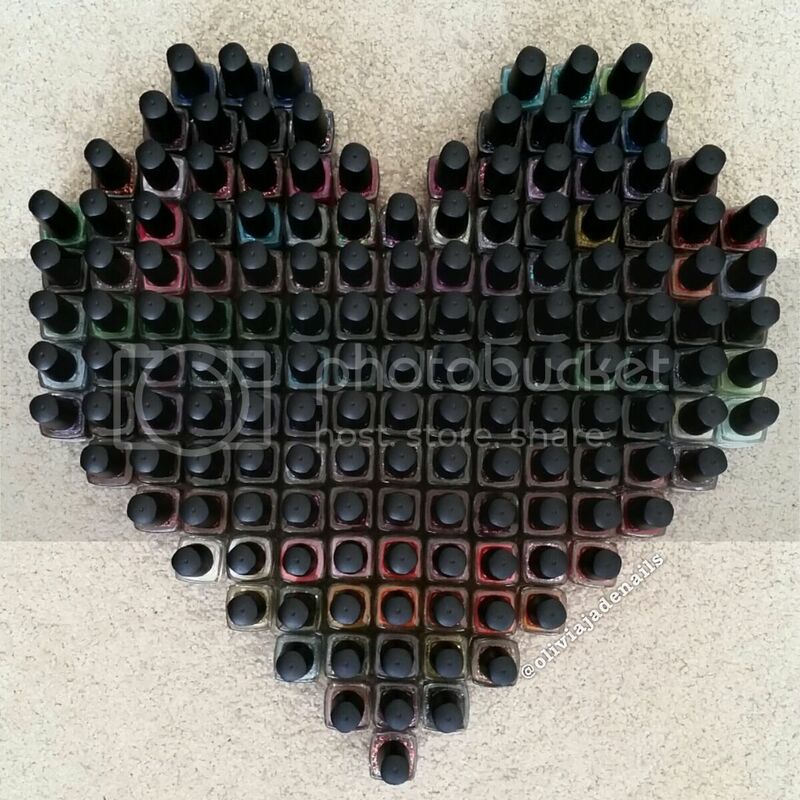 If I was to only pick one of the polishes it would have to be Midnight Kiss. 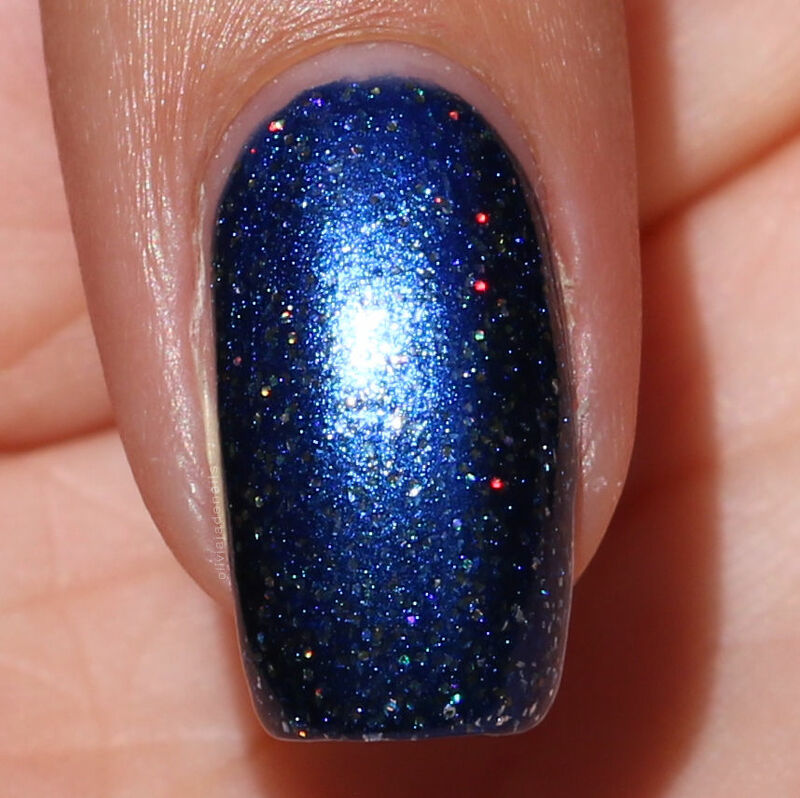 I actually wore this as full mani, and it reminded me how I love to wear simple polishes sometimes - simple colour with holographic glitters. These polishes are definitely prettier in person than in my photos. The Fizz Collection is available now from Dance Legend. They also offer international shipping. Don't forget to follow Dance Legend on Facebook and Instagram.